One of the tragic realities of the video game industry is that, sometimes, great ideas that everyone seems really excited about will occasionally evaporate into poisonous clouds of pure disappointment. Usually, the reasons behind this are mysterious and boring (money being a huge one), but in a few rare instances, we can chalk it up to one, simple fact: A lot of game companies are truly evil, and they feed on the misery of nerds. 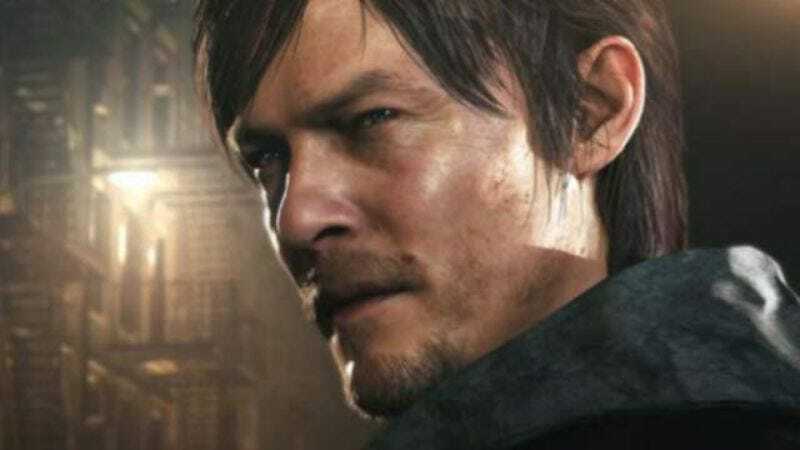 One such company is Konami—or at least the Konami of the last few years—which made headlines back in April when it quietly canceled Silent Hills, a much-hyped horror game starring Norman Reedus that was being designed by Guillermo del Toro and Hideo Kojima, the creator of Metal Gear Solid. Still, even though Konami hates them and you and everyone who plays video games, del Toro and Kojima would still like to work together at some point. In an interview with IGN, del Toro says he’s still in touch with Kojima and loves working with him, and they’re even still planning on “doing something together.” Whatever that is, though, it definitely won’t be Silent Hills. The Silent Hill series is still owned by Konami, and the company is probably more interested in licensing out its name to free-to-play tile-matching puzzle games these days than handing it over to a pair of famous creative-types. Of course, what we saw of Silent Hills didn’t really look anything like the older Silent Hill games, so Kojima and del Toro could probably just take what they had to another studio that doesn’t hate video games and start over with a different name, but they probably already thought of that.